Olomouc Museum of Art consists of three museums. The original museum (formerly the Gallery of Fine Art founded in 1952) became an autonomous museum in 1990. 1. The Museum of Modern Art came about when it moved into the building of the Olomouc Museum of Art in June 2006. The exhibition programme and acquisition activities are focused on modern art from the 20th and 21st centuries. 2. 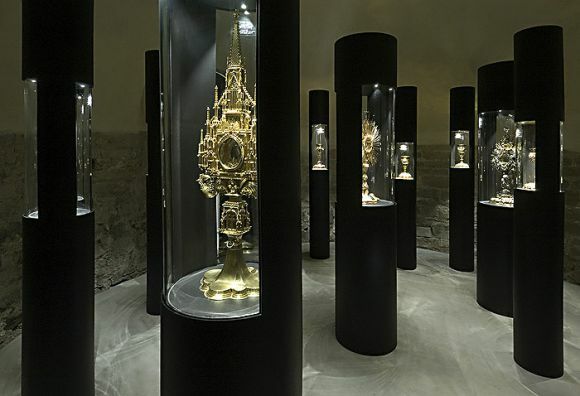 In 2006, the Olomouc Archdiocesan Museum (established 1998) was opened, representing the first museum of its type in Czech Lands. The proposed construction of an Archdiocesan Museum was possible after the historical buildings of the so-called Olomouc Castle were returned to the Catholic Church. 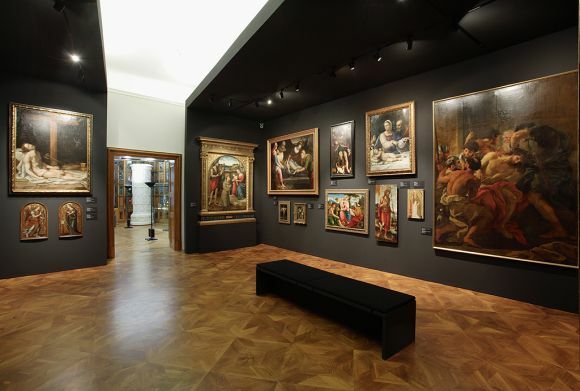 On the basis of the contract drawn up between the Olomouc Archbishopric and the Ministry of Culture of the Czech Republic, the Olomouc Museum of Art was entrusted with bringing the project to completion. While the grounds of the Olomouc Archdiocesan Museum offer visitors the opportunity to view the architectural remains of an entire millennium, the Museum presents a permanent exhibition of the artistic culture of the Olomouc diocese from the 12th to the 18th centuries, bringing together artefacts from the historical territory of Moravia with a focus on art patronage and collections of the Olomouc bishops. 3. 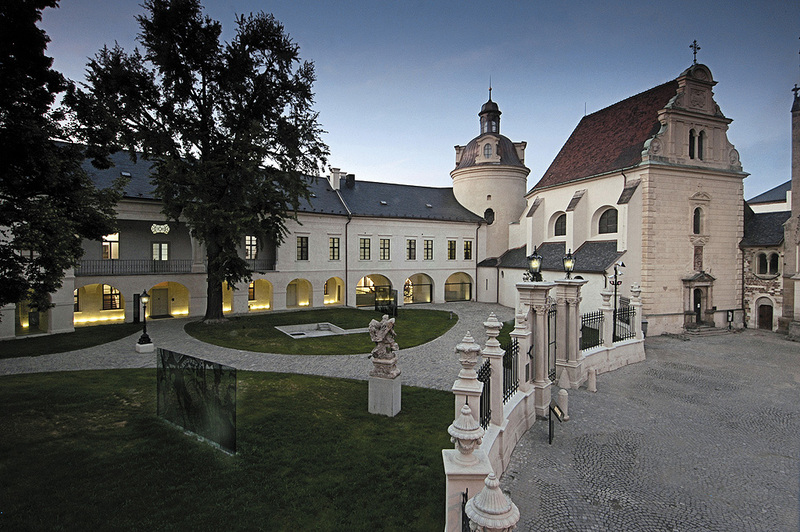 The Kroměříž Archdiocesan Museum was established in 2006 as part of the Olomouc Museum of Art, and detached from the rest of the Museum, is situated in the former Archbishop’s Château in Kroměříž. The Museum holds one of the largest château libraries in the country: almost 90,000 volumes, including illuminated manuscripts and a music archive of more than 6,000, mainly Baroque, compositions. There is also a rich collection of old-master drawings, graphic works and coins and medals. Guided tours are available to visitors through the halls, rooms with historic furniture, and the picture galleries. The Archbishop’s Château in Kroměříž along with its gardens, were proclaimed a National Cultural Monument in 1995 and recorded on the UNESCO List of World Cultural and Natural Heritage sites in 1998.